A course that I highly recommend is Pinning Perfect. This class was AMAZING and provided so much insight into what was required to make my pins go from basic to maximum impact. I saw results within three months of taking the course. 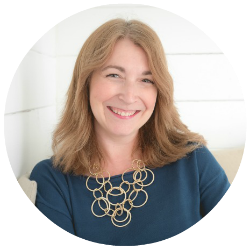 My click-through rates from Pinterest had tripled, and my followers almost doubled. The Pinning Perfect class is definitely a fabulous course to gift to someone. Every blogger desires some level of organization. 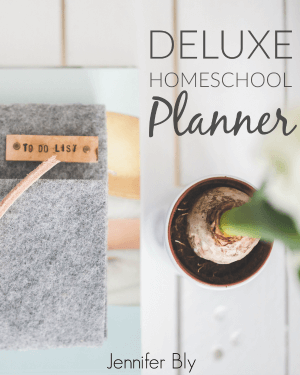 This deluxe blog planner from Mama Miss Designs is a dream! I’ve used it for the past year and I attribute at least half of this year’s success to the fact that I had my blogging life organized. 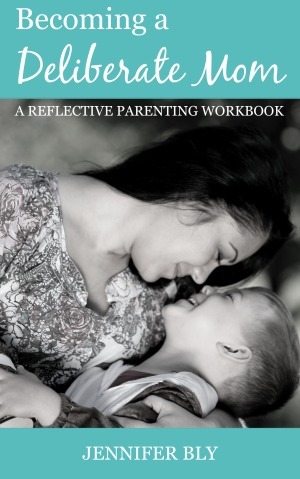 This downloadable planner is practical, helpful, and so affordable! 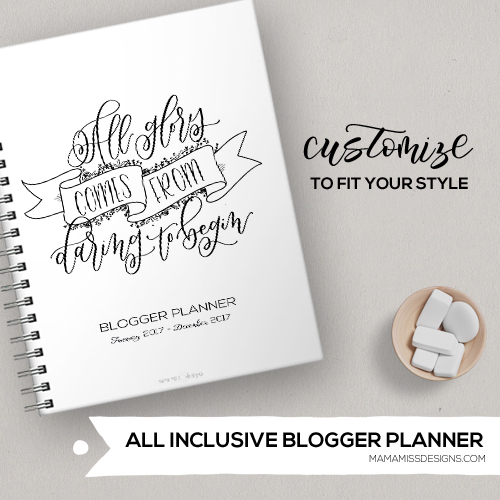 If you bought a blog planner, why not place it in an extra-special custom printed binder! I just love these Avery binders by Zazzle (and it’s not just because they’re my designs). The binder is durable, has four pockets, and stores about 500 pages! Do you dig the floral? I know I do! Check out these fun stickers for bloggers. You can even customize them and add your favourite blogger’s URL to the image! A blogger’s theme is a personal thing. It’s like buying underwear for someone. Do they like boxers, briefs, or thongs? At some time or another, most bloggers would appreciate a blog facelift. Why not purchase a new premium theme (just make sure to let them pick out the theme they want)! Web hosting is also very personal… you really need to know if there are holes in their underwear (if there’s a need for a switch in web hosting companies). However, if they complain of frequent downtime, poor customer service, or slow website loading times, then perhaps you can make this purchase for them. 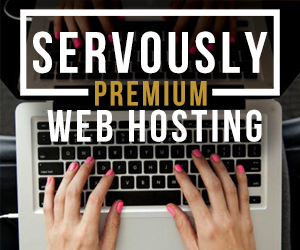 My site is hosted through Servously, and I love the quality of my web hosting service. Okay, I know it’s not the most original of ideas but if they blog, chances are they caffeinate themselves in some way, shape, or form. Why not enable their addiction and provide them with a weapon to energize and motivate them? I just love this coffee mug. Best. Mug. Ever. We all suffer from it at one time or another… the dreaded writer’s block. Why not gift the writer in your life a special journal to help them through this challenging season of writing? I don’t know about you, but I have some of my best ideas in the shower. This shower notepad is a great gift for the writers who have shower epiphanies! I’ve had my eye on this for a while now . The spring-loaded mechanism raises your desk from regular height to standing in just 3 seconds. This standing desk is such a clever device to save writers’ backs! Even though we may take pictures, sometimes we can’t capture the essence of our writing in a photo. Stock photo credits are an awesome gift option for bloggers. 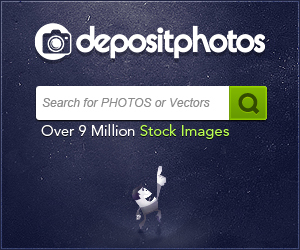 They’ll appreciate the time they’ll save and will love having access to millions of stock photos. I feel like I need to write that in all caps like I’ve just announced it on The Price is Right. Regardless, if the blogger you love is using their phone or an old point and shoot camera to take pictures for their blog, maybe you can purchase a fancy new camera for them! Sometimes a blogger needs a change of environment to get the writing juices flowing. I love this laptop backpack that has space for all your goodies… including a side pocket for your water bottle or travel mug of coffee! I love my business cards. 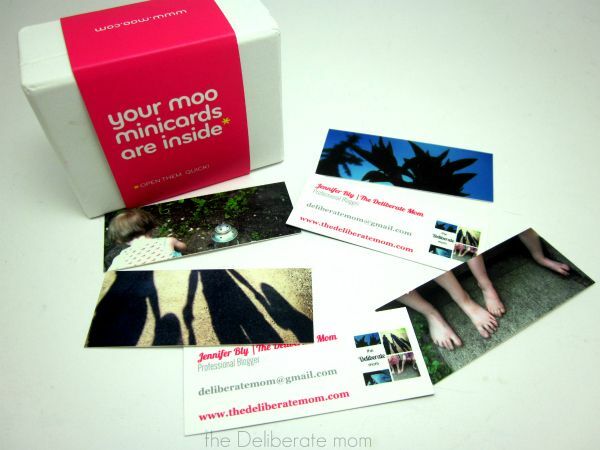 I purchase them from moo.com, and I always get compliments when people see them. The mini-cards make a macro first-impression! Want to thrill and delight the writer in your life? One of the greatest gifts is a well-written, quality review. I’m completely serious. When I get new reviews on my book, it makes my day. Comments and social shares on blog posts are also fabulous. 12 days of Christmas? Why not do 12 days of social shares?! So that’s my round-up of gift ideas for bloggers! Would you add anything to this list? I just ADORE my planner. It is so helpful! Oh I love this list! And 12 Days of Social Share is just brilliant. :) Thank you for the ideas! I’m delighted you liked this list. Yes, the social shares is a GREAT gift! Hi Jennifer! I love these ideas! A shower notepad? That is GENIUS! I’ve never seen anything like that. And your design for the notebook and stickers are so lovely too. I often am looking for just the right photo for a blog post. Getting a gift of a photo subscription would be wonderful. What a great idea! Thanks for these innovative ideas. Oh, and you deserve the mug. Absolutely! I just LOVE the shower notepad! I soooooo want one! I have so many ideas in the shower and they’re often lost when I towel off. I’m glad you enjoyed this list and my ideas… I’m hoping some blogging friends will get some of these goodies this year! You are amazing! What a SPOT on list!!! I’m glad you like my list Caroline! I’m hoping for a few of these goodies for myself. I love my Mama Miss Planner. I’ve tried a few but this one just blows all other out of the water. There are so many cool components to it! I would LOVE a DSLR camera….. Yes! I love all of these ideas! Those blog binders are amazing and I would never say no to stock photos or hosting, lol! Oooh, I’m delighted you like the blog binders. I had fun designing them! These are perfect! I would love a new blog planner.. or rather than new, meaning, I’d love one at all! And I’m a huge fan of Pinning Perfect, just because I took her course at BlogU and it changed me. A lot. Time to take the online course. I love my blog planner! It keeps me so organized and on task! Yes! 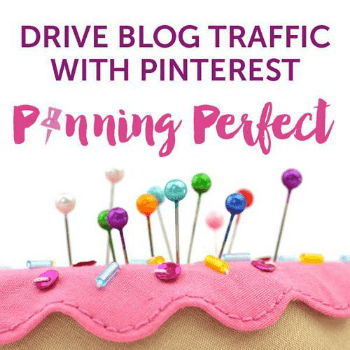 I can’t stop raving about Pinning Perfect – it is AWESOME! I’ll take one of each, please!! 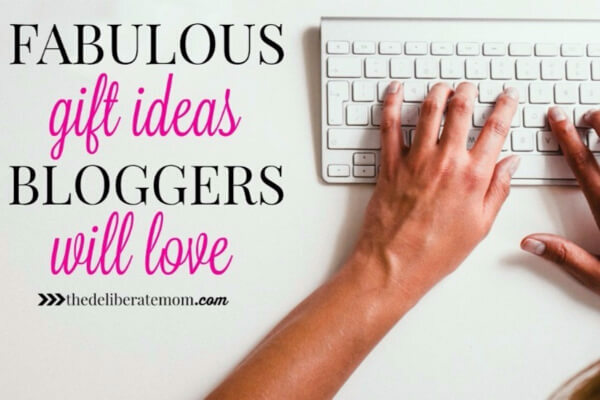 :) These are all great gifts for bloggers. The floral stickers are pretty, and I have not seen that writer’s block journal before, too funny! Hi Jennifer, love your style. I’ve recently joked about getting a stand up desk with a treadmill attached! Although I’d be just as happy with the in-shower notebook, personalised business cards or the coffee mug… And a proper posh camera wouldn’t go unappreciated either. I had such fun compiling this list – glad you enjoyed my selections! This is so smart! 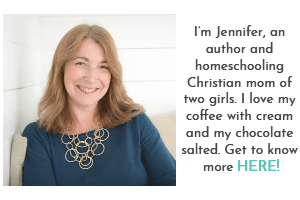 I rarely think if gifts for blogging but what great ideas Jennifer! I really want to do the pinning perfect course. You have raved about it ever since and it sounds fantastic. I’m sure I sound like a broken record with how much I raved about the Pinning Perfect course. It really helped me grow my blog tremendously this past year. lol yes – me too! Glad you liked my list Meg! I had fun assembling it (and thanks for the pointers on how to do the product collage). What did you think of my handiwork? Not bad for a first attempt?! I want it all! :) Awesome gifts! Yes! I had fun making this list, that’s for sure! I’m delighted you approve of my list Chris! Pinning Perfect is amazing. I’ve seen phenomenal growth this year because of it! I don’t drive much, but I’m guessing that would be a great time to think and gather ideas! Oooh, yes, a digital recorder would be a sweet gift! I love these, Jennifer! I’ve been wanting to take a class. Both of your recommendations look great. Pinterest is one of my top traffic sources. I think I’ll start with that one. I’ll have to forward this to my hubby as my Christmas list :). Pinned! I seriously can’t say enough good things about the Pinning Perfect course. My Pinterest numbers/activity has exploded since I took it in February! I highly recommend it! I’m glad to hear that. I bought the class through your link today :). I’m looking forward to starting it in January! Yay! I’m certain you’ll glean a lot of information from it! They give a variety of useful, printable resources too. Thanks for using my link Candace! I get all my best ideas in the shower – what a brilliant idea to make a waterproof notepad! I know, I love the shower notepad too! I really want one because I get oodles of ideas while in the shower! You are ingenious. This is an awesome idea for a blog post and full of incredible gift ideas. And that shower notepad? Who knew? Obviously, you! Every time you share, I am always interested in what you have to day. You’ve made a habit of adding value everywhere you go online. In short, you’re fairly amazing. :-) Love that CBB crossed our paths! I’m pining for the shower notepad – I get so many ideas while showering and I lose 3/4 of them before toweling off! You are so sweet Christi and you blessed me with your encouraging words this morning. Thank you my friend! Oh, I could DEFINITELY use a good blogging course! I’ve had my eye on one or two different courses, and think a class would really help me kind of figure out my direction. I’d love to get a planner, too, but my history with day planner and schedules is… spotty at best. Last December I made some goals, one of which was to take a blog-related course. It had a huge impact on my blog and I’ve seen much growth since. I love my blog planner – it’s so pretty, there’s no way I couldn’t use it! What an awesome list! I am loving the binders!! I’m delighted you liked this list – and that you liked the binders! I’ve been having fun customizing some of my favourite products! This is a great list, especially the shower notepad and standing desk. I have a standing desk of sorts – it’s basically one of those small adjustable tables from Sam’s. It does the job, but it’s not adjustable, so it would be nice to get something comfortable for my height (a lowly 5’3″). I’m delighted you enjoyed the list Rabia! I had such fun assembling it! What a seriously AWESOME post! So many great ideas! Pinning! I would love that standing work table or some camera accessories, but what I would truly love is a better computer and a years subscription to a few social media schedulers. Social media schedulers are awesome. I use CoSchedule and I love it! I couldn’t imagine blogging without it!